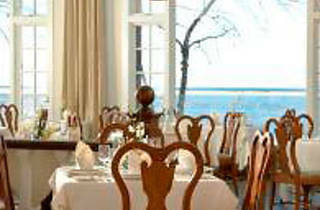 At Stars, enjoy stunning panoramic views of Pleasant Bay and the Atlantic Ocean. 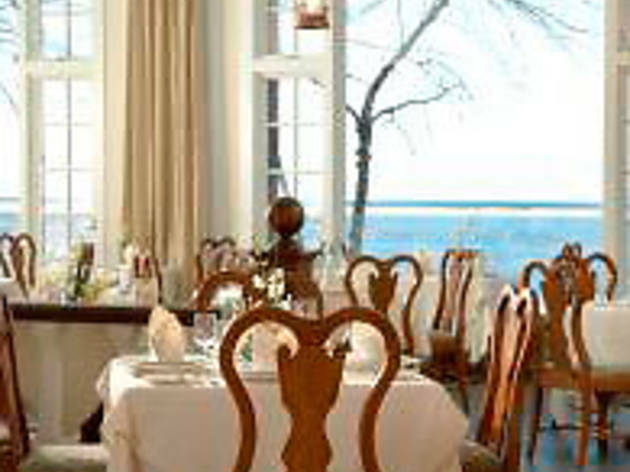 Seasonally inspired cuisine rooted from the bountiful harvest of The Chatham Bars Inn Farm to create Cape Cod’s premier dining experience. Steeped in history with Norman Rockwell’s “Spirit of America“above our fireplace. Stars is a culinary occasion that will excite the senses with tableside preparations, an award winning wine list and refined, personalized service. Attire: Resort Evening Attire. For the ladies, resort casual - no pool / beach attire and for the men, long pants including jeans, collared shirt and proper footwear - no shorts.